Colin Hume, the renowned English caller, choreographer, and composer, will be in Toronto from June 14 to 16, 2019, in his only Canadian stop on a North American tour. Colin is well known for his vast knowledge of the Engilsh Country Dance (and other) repertoire, his reconstruction of historical dances, and his original dances and tunes. 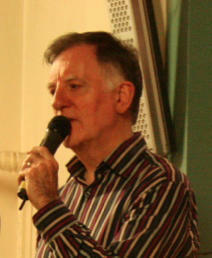 He is also known for his clear and thorough teaching in workshops. 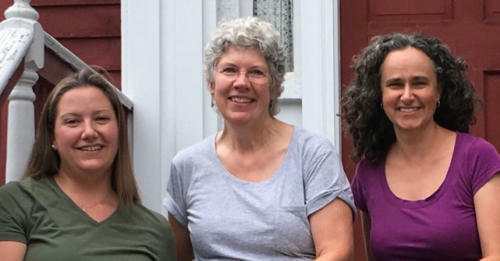 Eileen Kalfass (violin), Rebecca McCallum (violin), and Jane Knoeck (piano) have played dance venues across the US, Canada, the UK, and Europe. As Shandy, they combine their skills and experience with lush harmonies, elegance, and energy to give dancers the best of the English Country Dance experience. Schedule Friday: 7:30 PM to 10:00: Welcome dance Saturday: 10:00 AM to 12:30: Workshop: “English with Style” 2:30 PM to 5:00: Advanced dances 7:30 PM to 10:00: Dance party -- festive dress Sunday: 10:00 AM to 12:00: brunch 1:00 PM to 3:30: Workshop: “Dances with a Step” All dances at St Barnabas Church Hall, 175 Hampton Avenue, Toronto. Registration The fee for the entire weekend is $90 Canadian before May 15th; $100 after. Single-session registration will be available after May 15th if there is still space. The Sunday brunch is potluck OR pay $10 in advance. Register at https://tecda.ca/colinhume/checkout.html For registration by mail, please print page 2 of the flyer.